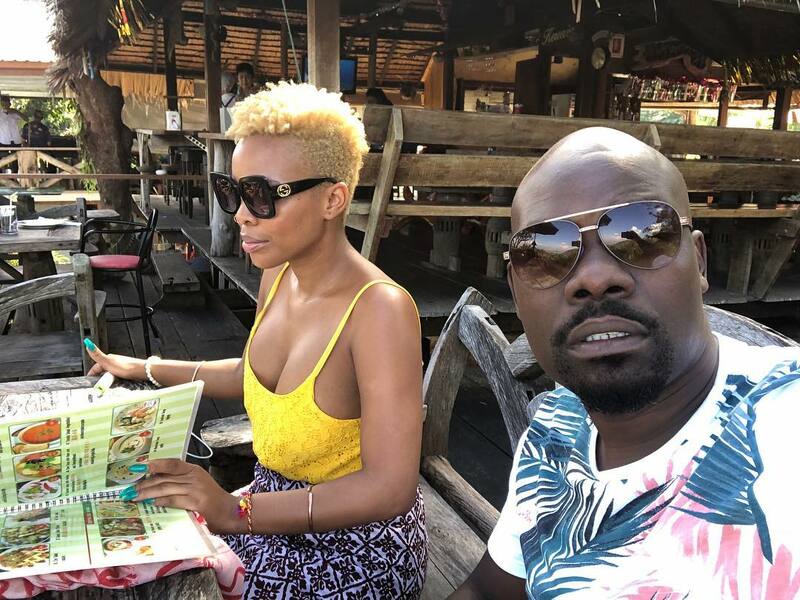 Masechaba Ndlovu has took to Facebook to announce her separation from her husband Vusi Ndlovu.Taking to Facebook to announce the separation in a heartfelt post detailing her decision. I’ve taken the very painful decision of separating from my husband, the love of my life, the man of my dreams. My ride or die. Sometimes in life, the best thing you can do is the hardest thing you’ve ever done. We will always remain friends and fantastic parents to our children – and we will always love and care for each other. So many people remain in relationships that no longer serve them because they are afraid of what people are going to say. Afraid of what it’s going to do to the kids. Often, people keep up pretenses because of the fear to be seen as failures or to lose credibility. We forget that the best gift you can give to the world and to yourself is your happiness. Your truth. Social media shouldn’t only be about flaunting the good times. Let’s engage and grow each other even in the difficult times. Life is a journey and not a destination. I’ve always preached to young women that self-love is the highest form of love. We should be giving from our saucer and not from our cup. Which means our cup has to overflow in order for us to give. When you allow yourself to run on empty, don’t blame the people around you, blame the person inside you. When you truly love yourself, you will not allow yourself to run on empty. You will only keep people in your life who will love you equally as hard. Often we lie to ourselves because we try to bend, to water it down; to make it logical; to edit our souls to make it work. The truth is your soul knows what it needs to heal itself, the challenge is to silence the mind. The truth may hurt for a little while, but a lie will hurt forever. Remember that the only people who will be mad at you for speaking the truth, are people who are living a lie. Do what you feel in your heart to be right. No matter what. You deserve to be happy. You deserve to live a life you are excited about. You deserve to be loved and you deserve to feel appreciated.